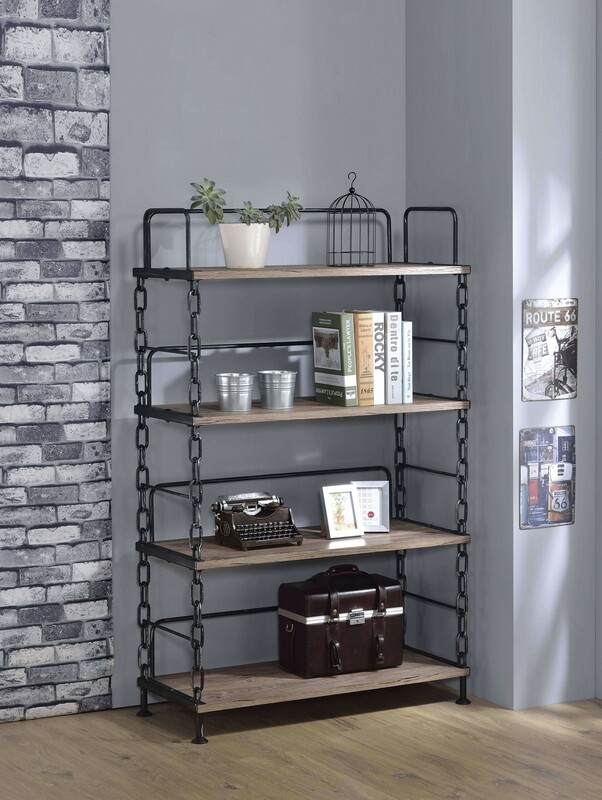 Enjoy your room with this Jodie rustic oak bookshelf with black metal chain details. 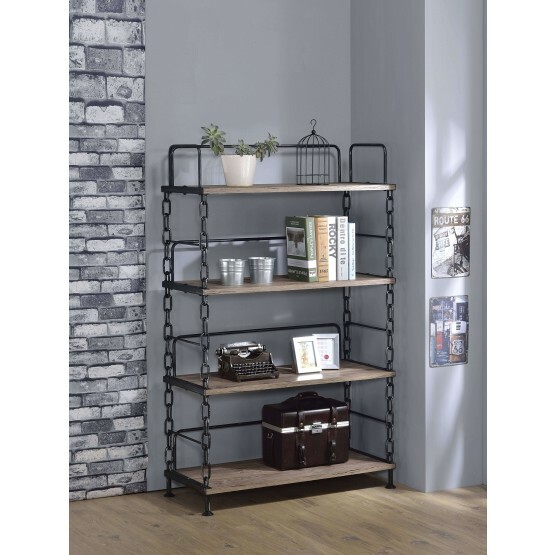 Functional and attractive with its sleek contemporary styling, this bookcase is sure to enhance the look of any room in your home. W47.5" x D23.5" x H59"